PLEASE NOTE: This is a summary and analysis of the book and not the original book. 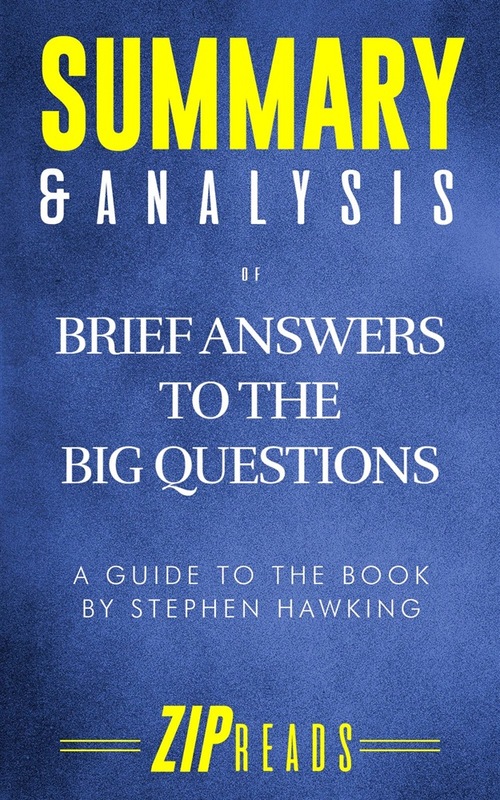 If you'd like to purchase the original book, please paste this link in your browser: https://amzn.to/2DiiBCIIn Stephen Hawking's final book, he answers ten of the "big" questions he was asked during his life. His answers are thoughtful, expansive, and brilliant—just as you would except from one of the most renowned scientific minds in human history. What does this ZIP Reads Summary Include? 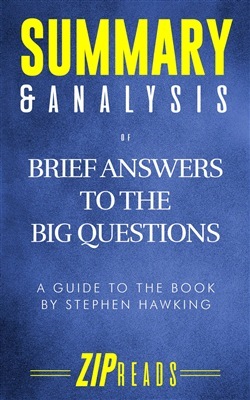 Synopsis of the original book Summaries & Key Takeaways from each of the 10 questions Simplified science from the original book In-depth Editorial Review Background on Stephen Hawking About the Original Book: Stephen Hawking’s final book is a brilliant yet succint look into some of the biggest questions that face humanity, such as "Where did it all begin?" and "Is time travel possible?" While the first six questions look towards issues science may already be able to answer (at least to some degree), the last four questions focus on Hawking’s outlook for the future of humanity, Earth, and our civilization. DISCLAIMER: This book is intended as a companion to, not a replacement for, Brief Answers to the Big Questions. ZIP Reads is wholly responsible for this content and is not associated with the original author in any way. Please follow this link: https://amzn.to/2DiiBCI to purchase a copy of the original book. We are a participant in the Amazon Services LLC Associates Program, an affiliate advertising program designed to provide a means for us to earn fees by linking to Amazon.com and affiliated sites. Acquista Summary & Analysis of Brief Answers to the Big Questions in Epub: dopo aver letto l’ebook Summary & Analysis of Brief Answers to the Big Questions di ZIP Reads ti invitiamo a lasciarci una Recensione qui sotto: sarà utile agli utenti che non abbiano ancora letto questo libro e che vogliano avere delle opinioni altrui. L’opinione su di un libro è molto soggettiva e per questo leggere eventuali recensioni negative non ci dovrà frenare dall’acquisto, anzi dovrà spingerci ad acquistare il libro in fretta per poter dire la nostra ed eventualmente smentire quanto commentato da altri, contribuendo ad arricchire più possibile i commenti e dare sempre più spunti di confronto al pubblico online.